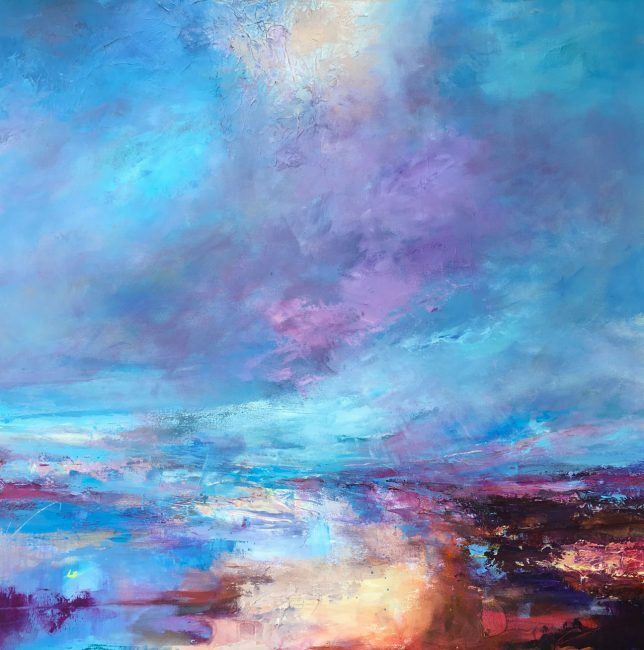 ‘Summer Vision’ 104x104cm is available thorugh Mandell’s Gallery, Elm Hill in Norwich. Thank you to everyone for coming to visit my exhibition at Salthouse church in July. It was a great success in terms of visitors and sales. My solo show ‘Norfolk Horizons’ continues at Creake Abbey cafe until the 16th October with lots of large and smaller works to see. 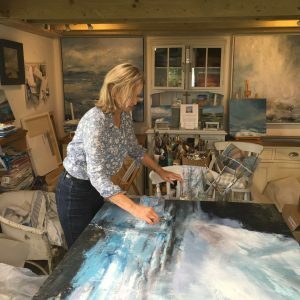 Here I am working on a large scale painting in the studio – what a summer we’re having and how challenging it has been working in a hot studio!